As the sun comes up on farmers across Essex County, Ont., it's not their livestock or crops they check first thing in the morning — it's the markets. The tough talk between Canada and the U.S. around NAFTA negotiations is having real-life consequences for those working in the industry every day. "You're at everybody else's whim and whatever they want," said Henry Denotter, a grain and oilseed farmer in Kingsville, Ont. Denotter's farm covers nearly 610 hectares, where he grows everything from soybeans and corn to wheat and rye. But each morning, he looks to the U.S. to see what kind of profits he can expect. "We can't set the prices, we're looking at Chicago everyday to see how grain is doing. And somebody starts a rumour — whether it's [U.S. President] Donald Trump or China and the market goes down 30 cents, 10 cents, even a penny makes a difference in our end profits." Those profits are what keeps Denotter's equipment running and business afloat, he said, as he has to make payments on machinery just like anyone would on a home or car. As a grain farmer, Denotter said he is selling on a global stage, not part of Canada's supply management system of quotas, which control how much its dairy, poultry and egg farmers are allowed to produce. 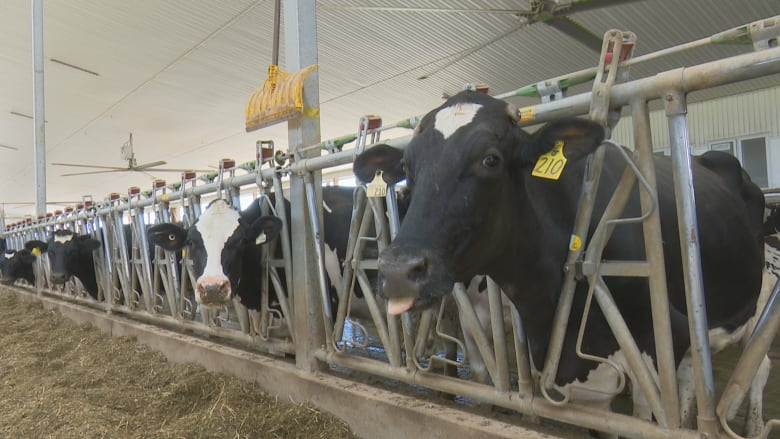 "The trade talks are always a concern, they've been a concern for 40 years," said dairy farmer Bernard Nelson, who operates in Kingsville next door to Denotter. "But we've always had government support to protect it and I'm very thankful for that support." Nelson said it's supply management he's worried Canada will lose its grip on in the NAFTA negotiations. "I would say we'd lose half our farmers if we lost our supply management," said Nelson, who credits that system for regulating his industry on this side of the border. 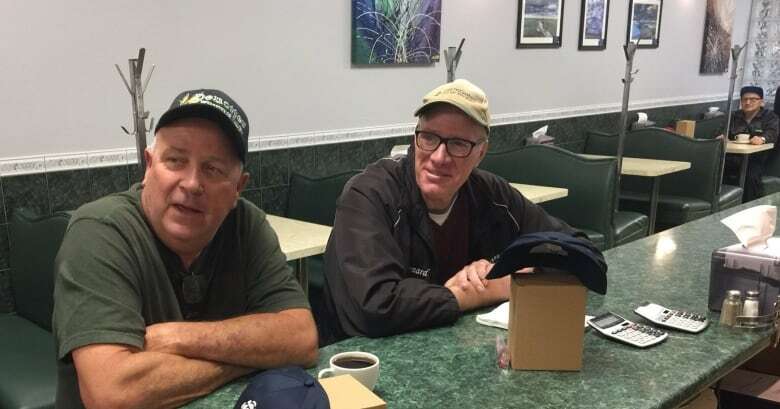 "All farmers are sort of held captive to the weather, the markets and whatever is coming out of Washington D.C., whether it's trade or regulation, and there's very little control over all those aspects," said Casey Guernsey. Guernsey is a seventh-generation farmer based in Harrison County, Mo. and is a spokesperson for Americans for Farmers & Families, a group which represents farmers across the U.S.
Guernsey's family was in the dairy business up until 2009, when they became "tired of losing money." He said as a kid in the early 80s, there were dozens of dairy operations in the area which have all closed down. "I remember how awful that was, we couldn't even turn the air conditioning on in our house," he said, as his family's long-standing business suffered. "Fast forward to when NAFTA was finalized and implemented and we have seen nothing but tremendous benefit to the American farmer and ultimately the consumer across three countries." NAFTA has given the agriculture business a tremendous boom, said Guernsey, adding that negotiations have been tough on U.S. farmers as it has been for Canadians. "The American farmers in the last couple of years have been more anxious about the market and the uncertainty that hangs over all of our heads in the farming community," he said. "Despite the rhetoric, I'm hopeful President Trump can deliver." Like Nelson, Guernsey said he is confident the U.S. government will protect the agricultural sector which in turn benefit both countries. "Our economy is strongly tied to the products Canada produces — it isn't as if any one angle of the agreement is beneficial to one country — we all benefit, those numbers don't lie, that's the reality of the situation," said Geurnsey.